A condition that is thought to have tripled in prevalence over the last 50 years, impacting over 23 million people, could justifiably be seen as an epidemic, or at least, a growing health concern. Autoimmune diseases, though, are not often thought of in that way because they manifest as 80+ different illnesses that nevertheless share the same root cause: a malfunctioning immune system that mistakenly attacks its own tissues. Virtually every human organ system can be impacted: the brain and spinal cord in multiple sclerosis, the skin in psoriasis, the joints in rheumatoid arthritis, the intestines in Crohn’s disease and ulcerative colitis, the insulin-producing cells in the pancreas in Type 1 diabetes, the thyroid in Hashimoto’s disease, among others. Ironically, 100 years ago, Nobel Prize-winning immunologist Paul Ehrlich, MD, was openly skeptical of a concept in which the body turns on itself, calling it “horror autotoxicus” (literally, the horror of self-toxicity). That set back acceptance of autoimmunity another half century, according to today’s leading neuro-immunologists. Now we are beginning to recognize the pervasiveness of autoimmune disease and develop therapies based on new research into its complex causes. disrupt the proper functioning of the immune system. There is also a growing consensus that these diseases result from complex interactions between genetic and environmental factors. Autoimmune disease is commonly clustered in families, but may affect different organs. For example, a mother may develop rheumatoid arthritis while her daughter copes with juvenile diabetes, her sister has Hashimoto’s thyroiditis, and her grandmother deals with Graves’ disease. Environment and lifestyle may contribute to the increased incidence of these diseases, including chronic stress. Therapies to suppress the immune system and preserve organ function, such as methotrexate, used to treat cancer, now also successfully used for rheumatoid arthritis and several other autoimmune diseases. Real progress in biologics, which target specific enzymes and proteins. 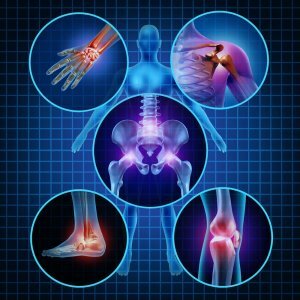 Monoclonal antibody medicines are being used to block inflammation in rheumatoid arthritis, preventing irreversible joint damage and enabling remission; to inhibit the activity of proteins implicated in Crohn’s and colitis and systemic lupus erythematosus; and are newly approved by the FDA to neutralize inflammatory processes linked to psoriasis. Running on a parallel and complementary path are natural methods, which continue to gain traction. Areas under investigation include: reducing foods high in sugar and saturated fat, practicing de-stressing techniques, lowering the toxic burden caused by constant exposure to environmental factors and restoring intestinal health with a diet that includes prebiotic and probiotic foods.